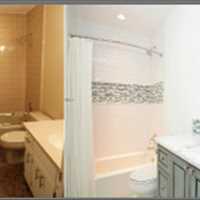 Master bathroom transformation from dated veneers and fixtures to a new spa style master bathroom, complete with steam unit, multiple body sprays, rain heads and free standing tub. 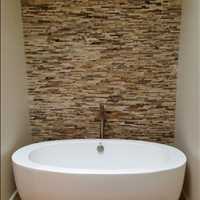 Have you ever thought about increasing the appeal of your bathroom by adding a touch of character to it? 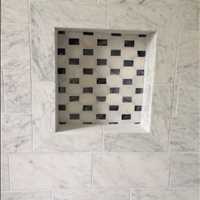 American Craftsman Renovations is a general contractor that specializes in remodeling homes in Isle of Hope Georgia. When people think about a renovation or remodel they usually think about the work that will go on in the interior of the home. However, American Craftsman Renovations can do it all. 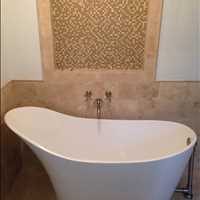 American Craftsman Renovations will take care of the bathroom for you. The weather in Isle of Hope is enjoyable for the majority of the year. 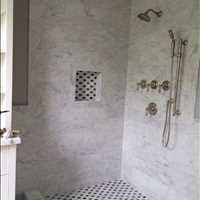 When the hot months arrive you won’t want to spend all of your time trapped in a boring bathroom. 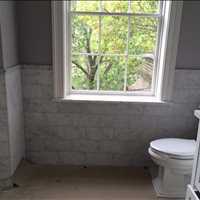 Make it a Bathroom you desire to spend time in. Sitting in your brand new bathroom will bring a new sense of serenity to you where you can enjoy everything that a bathroom has to offer. 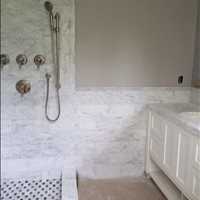 The team at American Craftsman Renovations would be more than happy to renovate and enhance your Isle of Hope Bathroom.